Call Bob today for a free consultation…and turn your cash flow around. 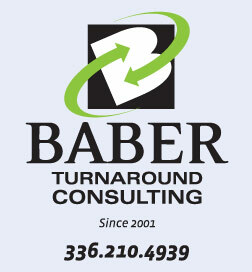 Now celebrating our 17th Anniversary, Baber Turnaround Consulting helps business owners make more money and grow their business faster…while reducing risk and stress. 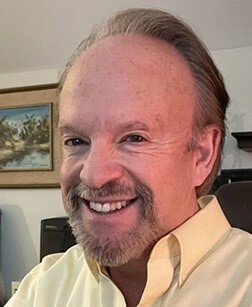 Bob Baber’s turnaround consulting and part-time Chief Financial Officer (CFO) services meets the needs of companies that do not have a full-time Controller or CFO. Through turnaround and financial consulting, Baber helps your company evaluate and strengthen its competitive position, improve financial performance and expand capabilities. Baber Turnaround Consulting offers business consulting and turnaround services throughout central and western North Carolina. Provides business leadership: We can provide financial, organizational and operational guidance – especially for companies without a full-time CFO or Controller. Helps grow your business profitably and predictably: Let us show you how to improve your business through rapid growth, succession strategies, and contingency planning. Serves as a mentor: We work closely with accounting and administrative support areas to improve efficiencies and expand capabilities. “"Bob is my go-to guy when I have a client who doesn't know whether he is making any money in the business, doesn't know where the cash is going (or coming from), and doesn't know whether to shut the business down or look for a way to restructure the debt. Bob has developed some templates, etc. that allow him to efficiently input data from the client and use the resulting spreadsheets to show the client (and often the bank) what is going on in the business. He has also earned the respect of a number of bankers, who know that he is a straight shooter. Bob is a person you should know. Your business lawyer partners should know him. Your banker buddies should know him. Your accountant friends should know him. If you ever have business clients who are wandering in the financial darkness, I encourage you to give Bob a call and arrange a lunch. You'll be glad you did."